One week from tomorrow, the 2016 New York Auto Show will open its doors to reporters from around the world for two media-preview days. We know already that there will be a new version of the Toyota Prius unveiled there, but a few other concepts and production models will make their debuts as well. So far, New York is relatively light on green cars, but new small crossover SUVs will be shown in profusion. We'll update this list as we get more information. 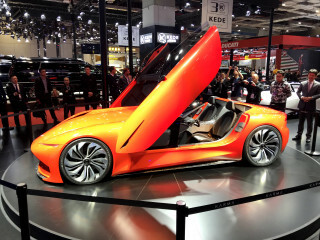 You can stay up to date on all the latest photos and announcements on our New York Auto Show news page. Meanwhile, here's our rundown of all the green cars we're expecting to see at the show. We've listed this one as a question mark because Toyota hasn't actually confirmed that what it calls "the next mechanical marvel in the Prius lineup" will be the anticipated plug-in hybrid version. 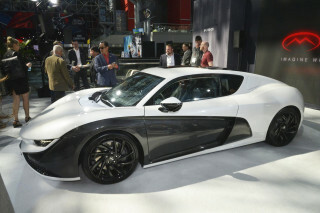 But the company said it would unveil the plug-in Prius during 2016, and following the Geneva Motor Show two weeks ago, New York is the last global show in North America or Europe until September. To date, we know only that the car will have different taillights than the current fourth-generation Prius hybrid, as seen in a teaser image Toyota distributed today. A new 2017 Toyota Prius plug-in hybrid would clearly have a range higher than the last version's EPA-rated 11 miles, but how much higher is the big question. 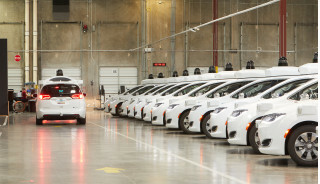 Industry sources last summer suggested that it could be as high as 30 miles, which would put it second only to the new Chevy Volt and the range-extended BMW i3 REx. 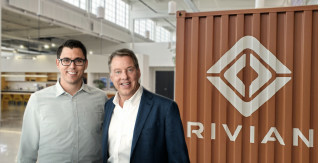 If it is the next plug-in Prius—possibly to be known as the "Prius Prime"—this will likely be the most significant green car introduced in New York. 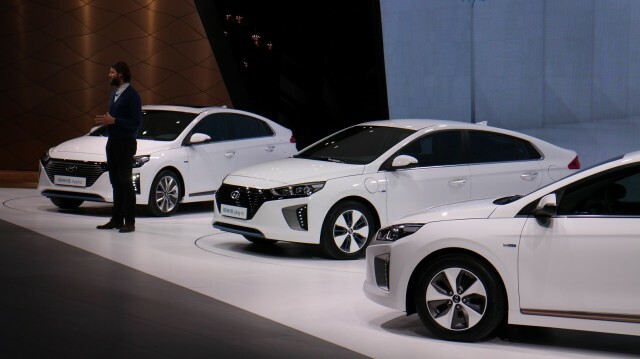 Korean maker Hyundai, with aggressive plans to sell more green cars by 2020 than any other maker except Toyota, will show one or more models from its 2017 Ioniq lineup. 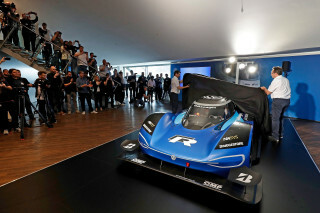 That small hatchback, offered in hybrid, battery-electric, and plug-in hybrid versions, made its global debut at the Geneva Motor Show two weeks ago. While the Ioniq is a size smaller than the latest Toyota Prius, the idea of using the same platform for all three electrified variants is a new one, and should let Hyundai spread its costs over a higher production volume. 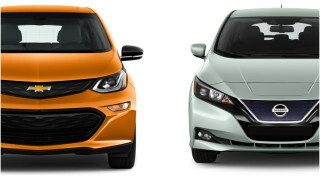 The different versions of the Ioniq will compete against the Prius (as a hybrid); the Chevy Volt, Prius plug-in, and other models (as a plug-in hybrid); and the Nissan Leaf, BMW i3, Volkswagen e-Golf, and 2017 Chevrolet Bolt EV (as a battery-electric model). The 2017 Ioniq Hybrid will likely be the first to arrive at dealers, late this year or early next year, shortly followed by the all-electric model. The plug-in hybrid will lag by several months, Hyundai says. 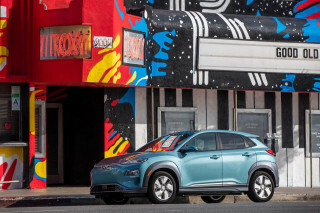 The plug-in hybrid version of Mitsubishi's mid-size crossover SUV may have had the longest gestation of any plug-in vehicle to be sold in the U.S.
Now scheduled to go on sale this summer as a 2017 model, the plug-in Outlander was originally intended to hit the market in 2013. 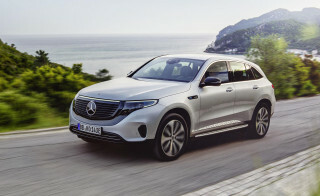 That would have been well before plug-in hybrid versions of the BMW X5, Mercedes-Benz GLE (nee ML), Porsche Cayenne, and Volvo XC90—all now on sale, or imminent. But a combination of strong demand in Europe and certification challenges in California repeatedly pushed back the debut of what will be the top-line Outlander. At least the delays meant the plug-in sold in North America now benefits from the mid-cycle upgrade the rest of the Outlander lineup received for 2016. 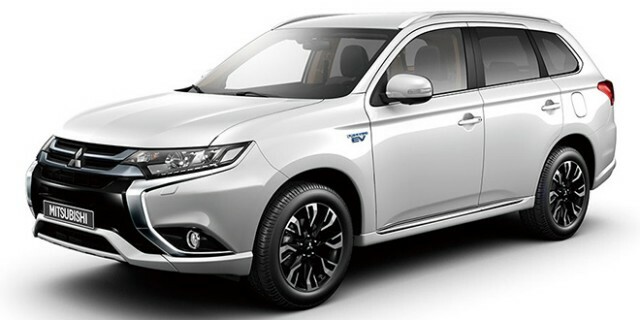 We'll have final U.S. specs for the plug-in Outlander at its debut, but it remains to be seen how it will do for Mitsubishi, now widely viewed as the most challenged maker selling in the U.S. 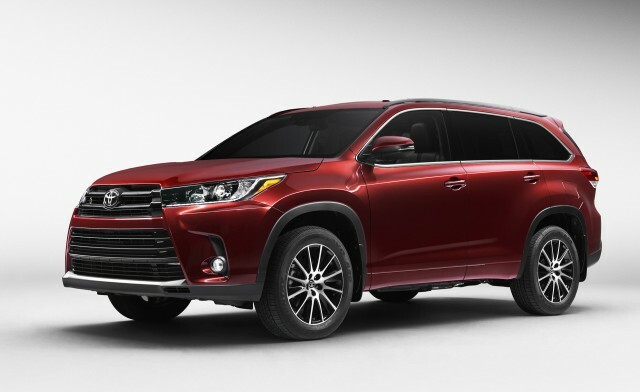 The Toyota Highlander large SUV remains the sole hybrid crossover that offers a third-row seat and capacity for seven passengers. It gets a mid-cycle update for 2017 that gives it a new grille, some modifications to its 3.5-liter V-6 engine, and what Toyota says will be "enhanced" fuel-efficiency ratings. 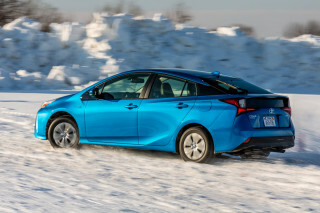 The current 2016 version gets an EPA-rated 27 mpg city, 28 mpg highway (28 mpg combined). 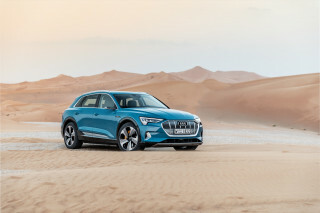 But perhaps the most significant news is that it will be offered in two new, less-expensive trim levels, potentially making it more affordable to buyers who don't need or want all the luxury trappings. 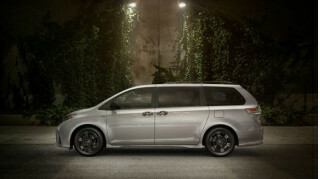 The Highlander Hybrid was previously offered in high-end Limited and Platinum trims only; now those will be joined by LE and XLE versions as well. 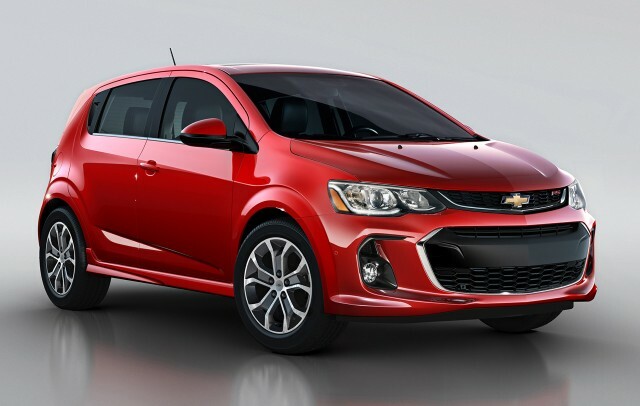 For its sixth year on the market, Chevy's subcompact hatchback and sedan get updated styling—bringing them closer to the look of the 2017 Chevy Bolt EV electric car—and upgraded safety and infotainment systems. 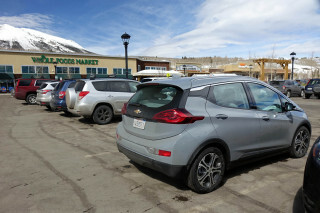 Powertrains aren't changing, though, so EPA fuel-economy ratings are likely to stay the same: 30 mpg combined with the 1.8-liter engine, or 33 mpg combined with the more fun turbocharged 1.4-liter. 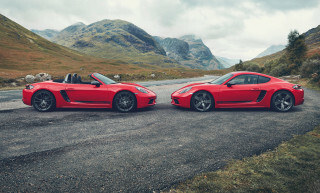 Each can be ordered with a six-speed manual gearbox or a six-speed automatic transmission. 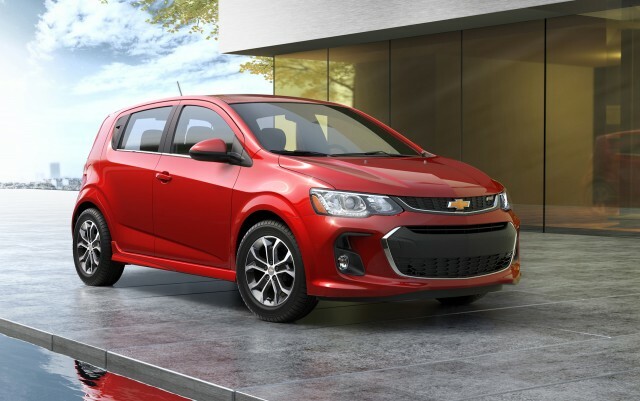 The most significant change is a new front fascia that adopts the latest Chevy double-grille design, making it a bit less aggressive than before. The rear fascia is new as well. 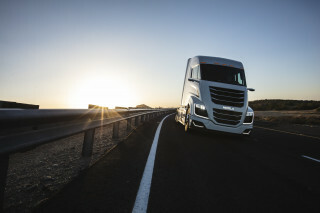 On the safety front, a rear-view camera is now standard equipment, and forward-collision alert, lane-departure warning, and park-assist systems have been added as options. A new infotainment system features a 7.0-inch touchscreen display, and both Apple CarPlay and Android Auto smartphone interfaces are included. Heated seats and a heated steering wheel are also available as options, along with a power-adjustable driver's seat that Chevy says is the first in its segment. 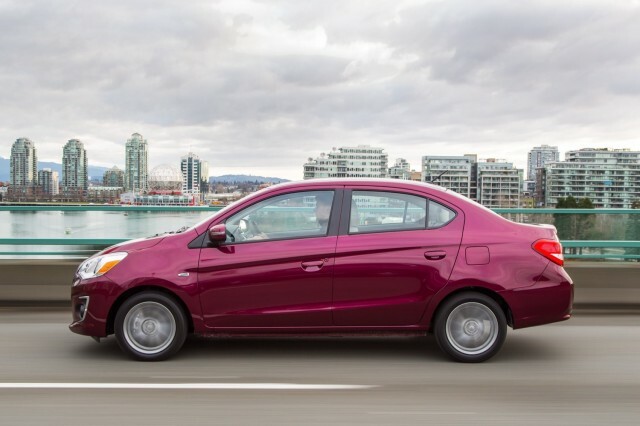 It's already been unveiled in Canada, but New York will see the first U.S. showing of a sedan version of Mitsubishi's little Mirage, previously only available as a five-door hatchback. 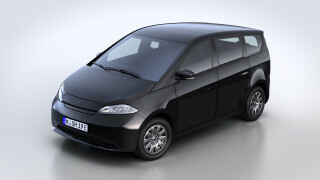 The 40-mpg minicar has proven to be an unexpected sales success for the struggling Japanese maker, selling almost three times the anticipated 7,000 units a year. As well as the new sedan model, the 2017 Mirage hatchback will get upgrades to its styling, features, and safety equipment. 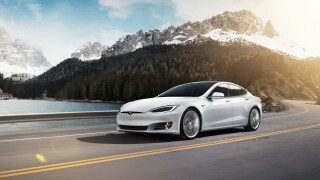 That updated model was shown at last fall's Los Angeles Auto Show. Notable changes include revised styling, suspension tuned specifically for the North American market, and Apple CarPlay and Android Auto compatibility. Regardless, the Mirage lineup is likely to remain one of the highest-efficiency vehicles for the lowest price on the U.S. market. The base price of a Mirage hatchback is more than $6,000 less expensive than the 50-mpg Toyota Prius C subcompact, giving it a better MPG-per-dollar ratio. The smallest Subaru sold in the U.S. also happens to be the most fuel-efficient all-wheel-drive vehicle sold without a plug, and it's being redesigned for 2017. 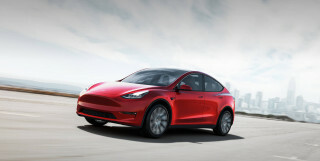 Lightly-disguised concept versions appeared last year, the five-door hatchback at the Tokyo Motor Show and the four-door sedan at the Los Angeles Auto Show. Then, just a few weeks ago, Subaru unveiled an "XV Concept" at the Geneva Motor Show that previewed the next Impreza-derived Crosstrek crossover model. 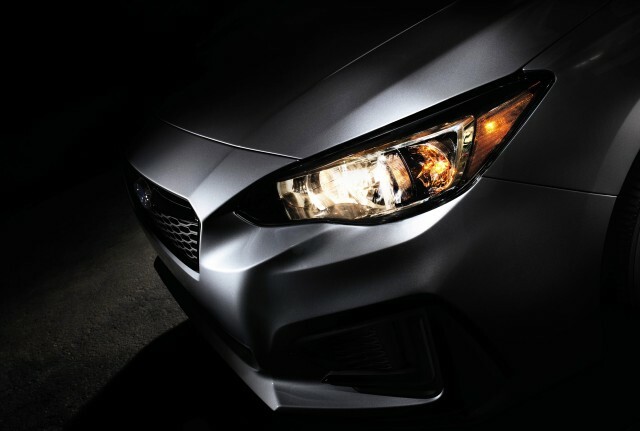 Now Subaru has released a teaser photo of the next Impreza's nose, and said that the vehicle will appear next week at the New York show. Unlike previous Imprezas, which were made in Japan, the new model will be built in Indiana, in the same plant that makes Legacy sedans and Outback wagons. 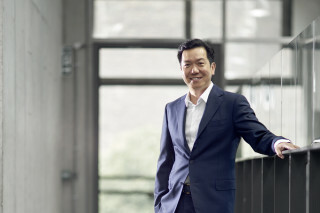 The little Japanese company has seen its sales increase every year since 2009, and it now handily outsells Volkswagen in the U.S. market. The new Impreza will likely be more stylish, offer a wider array of feature content, and perhaps get slightly better fuel-efficiency ratings—with the same applying in due course to its Crosstrek offshoot as well. Buick will pull the wraps off an updated version of its smallest vehicle, the Encore subcompact crossover SUV, at the New York Auto Show. 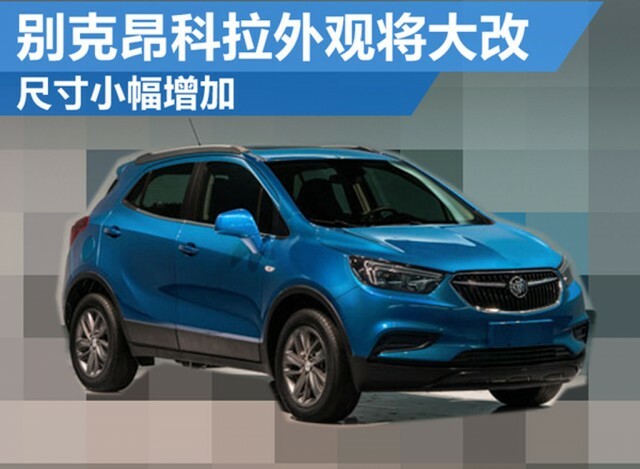 But an image of the updated Encore that will be sold in China leaked onto the Chinese site Tom.com last week, showing a more Buick-like grille and other new front styling. No interior shots were posted, though updates are likely to follow those introduced for the Opel Mokka—the same basic vehicle in European trim. 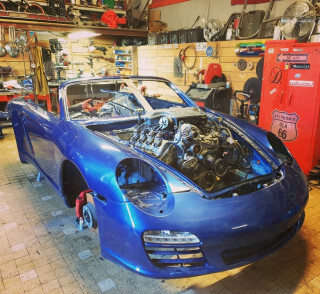 More details will be coming shortly, but it's expected to continue with the turbocharged 1.4-liter four-cylinder engine and six-speed automatic transmission it's used to date. The updated Encore will continue to be an important vehicle for Buick. It's sold more than expected since its 2013 launch, and Buick says it's brought new and younger buyers to the brand. 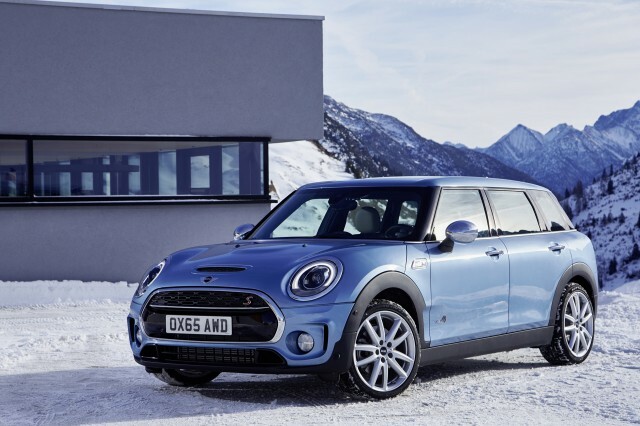 While a plug-in hybrid version of the new Mini Countryman crossover SUV is still at least a year away, BMW's British small-car brand is rolling out more versions of the third-generation Mini Cooper. The latest will be the Mini Clubman, now a proper four-door wagon, fitted with the ALL4 all-wheel drive system. 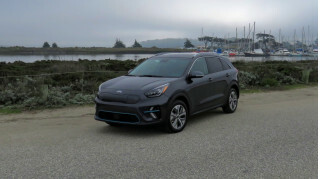 It's yet another example of the surging number of popular small crossovers and utility vehicles that are eating into sales of conventional passenger cars in sedan and hatchback form. 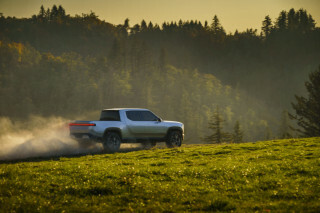 Finally, one vehicle we thought we'd see--the as-yet-unnamed replacement for the aged Jeep Compass and Patriot crossover hatchback and utility vehicles--won't make an appearance after all. While Fiat Chrysler had said last year that the new Jeep would be unveiled in New York, the company has now pushed the debut into the fourth quarter of this year. It will also be shown first not in North America at all, but in Brazil, according to Michael Manley, global chief for the Jeep brand. 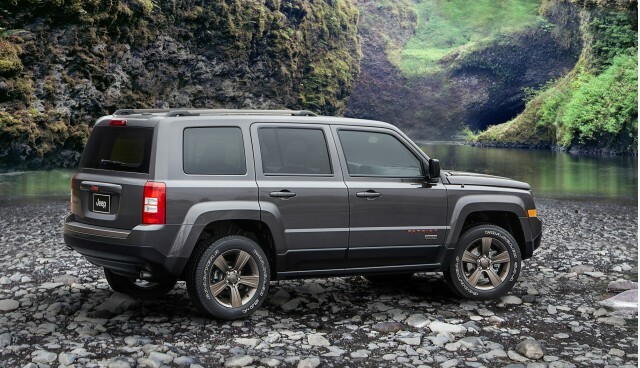 The unnamed small SUV will slot between the smaller Jeep Renegade, introduced for 2016, and the very successful Jeep Cherokee, now in its third model year. While the Renegade is built in Italy and the Cherokee is assembled on U.S. soil, the new Jeep will be built at a new FCA plant in Brazil.